Ross Venus. Picture by Scott Wiggins. Kevin Morris. Picture by Scott Wiggins. Luke Ferrara. Picture by Scott Wiggins. 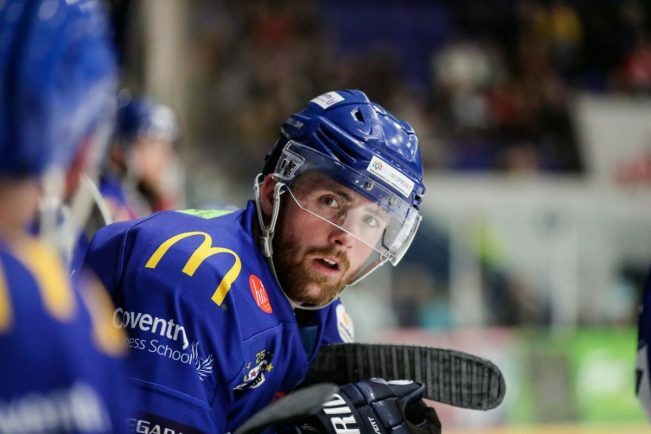 COVENTRY Blaze head coach Danny Stewart has named his leadership group for the 2018/19 Elite League season. Taking on the captaincy will be American forward Kevin Morris, while the Brit pair of Ross Venus and Luke Ferrara have been awarded associate captain roles. Morris held a letter with Salisbury School and Miami University before spending two years professional between the ECHL and AHL. 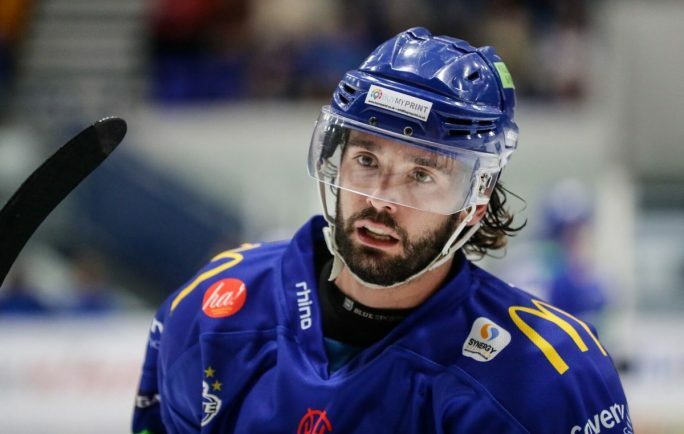 Ferrara, on a two-year deal with the club, has been a previous associate captain at Great Britain under-18’s and 20’s level. He also held an ‘A’ with the Peterborough Phantoms where he helped lead the team to an EPIHL Playoff trophy in 2014/15. Venus, in his ninth season with the Blaze and is also on a two-year contract, was captain of the Great Britain under-20’s before appearing for the senior side. Head coach Stewart said: “My intention was to wait until the end of pre-season to make these decisions, but what I have learnt in the first couple weeks has been enough. “Along with ‘Nobes’ (Kevin Noble) and ‘Keeno’ (Dayle Keen), we discussed this and all three of us came up with the same name. “Kevin is very detailed in his approach and a true pro. “He does things the right way, and his commitment levels are as good as I have seen in nine years of coaching. “He will lead these guys on and off the ice and we are thrilled for him to be our next captain. “With our associate captains we wanted to get some stability within our leadership group, ‘Feds’ and ‘V’ do that. “Both are on two-year deals and invested in the club. ‘V’ has been here nine years, but more importantly, I think he has matured massively in the past two seasons. “Feds came to us last season and had his breakthrough year.